16-year-old Manu had scripted history in Buenos Aries, by becoming the first-ever girl to clinch gold from Haryana at the YOG. 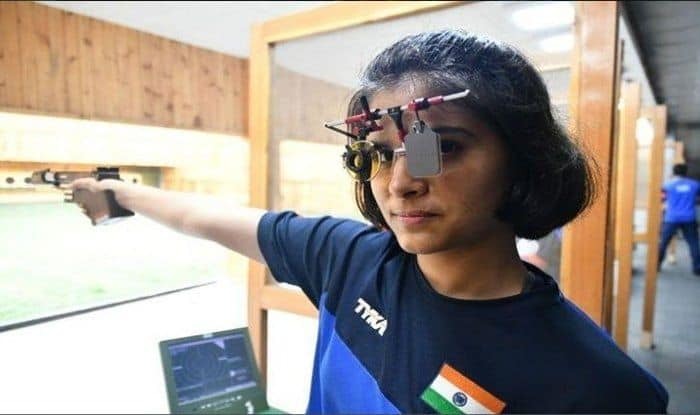 Three months ago, when Manu Bhaker won the gold medal at the Youth Olympic Games (YOG) Argentina, Haryana Sports Minister Anil Vij announced the cash prize of Rs 2 crore for her. However, in a notification issued by Haryana’s Principal Secretary (sports) Ashok Khemka on December 27th as “Cash awards to sportspersons in individual events”, revealed the awarded sum as Rs 2 crore. 16-year-old Manu had scripted history in Buenos Aries, by becoming the first-ever girl to clinch gold from Haryana at the YOG. She had won the medal in the 10m air pistol shooting category. “Someone in Haryana is really playing with Youth Olympic Games prize! It is really for encouraging or disheartening players…”, she worte on Twitter. Later, Vij clarified that the prize money has not been reduced. He also criticised Bhaker for making the ‘jumla’ comment: “Manu Bhaker should have first confirmed it from the Sports Deptt. before going to public domain. It is disgusting to denounce a State Govt which is giving highest awards in the Country. Bhaker will will will get 2 crores as tweeted by me and as per notification at that time,” he wrote on Twitter. The teen sensation spoke about her tweets saying she felt weird about the reduction notification because she had made plans for investments she was going to make for her practice. Bhaker had a stellar 2018, winning the Commonwealth Games gold medal in Gold Coast, a month after winning gold in the 10m air pistol individual and team events at the ISSF World Cup in Guadalajara.